Home Cinema Choice 283 on sale now! • Sony VPL-VW760ES: Find out why this native 4K laser projector raises the performance bar for home cinema in our in-depth review. • Blockbuster OLED TVs Make the Grade: We jet over to Los Angeles to discover why Panasonic's latest flatscreens have been given the Hollywood seal of approval. 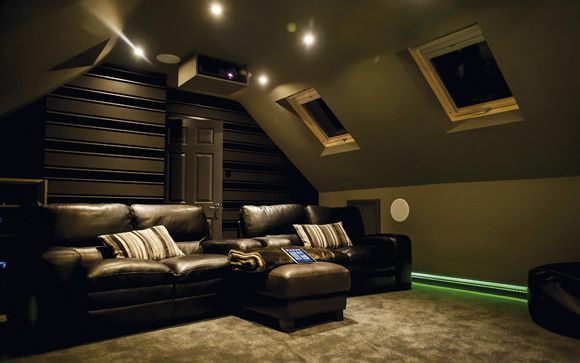 • Demo delights: Want to give your home cinema a real test? Team HCC picks the Blu-ray and 4K platters that will push your system to the limits. • DX-2 Divas: Wharfedale sets out to prove that size isn't everything with its compact and affordable DX-2 5.1 loudspeaker package. • JBL Soundbar with a 5.1 Secret: Range-topping Bar 5.1 soundbar/subwoofer system packs some nifty wireless multichannel skills. • Also: Sennheiser reveals its plans to revolutionise soundbars with its Ambeo 3D processing tech; Piega's classy TMicro 5.1 floorstander array; BenQ's sub-£500 W1050 Full HD projector; Loewe's entry-level 55in Bild 3.55 designer 4K OLED TV; Paddington 2 and Blue Planet II add some animal magic to Ultra HD Blu-ray; plus all of the usual news, opinion, competitions and Blu-ray/DVD reviews. Want to make sure you never miss an issue of HCC? Then it's time to subscribe – click here for more info.